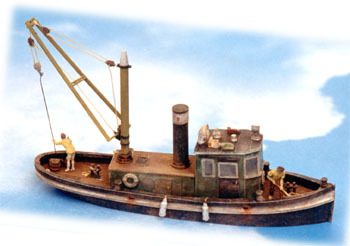 Small river or harbor work tug boat. Often called "river tugs" these small vessels were often operated by industries along the waterfront to push barges or move scrap. Nicely detailed ready for the layout. Note color scheme may vary.